Plum City – (AbelDanger.net). 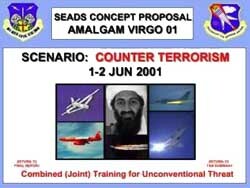 United States Marine Field McConnell has linked Jason McLean’s alleged staging of privately-aired episodes of the Cold Squad TV Series, tentatively titled “Rope a Boeing Dope”, to the roped-up bin Laden landing gear pictured below. 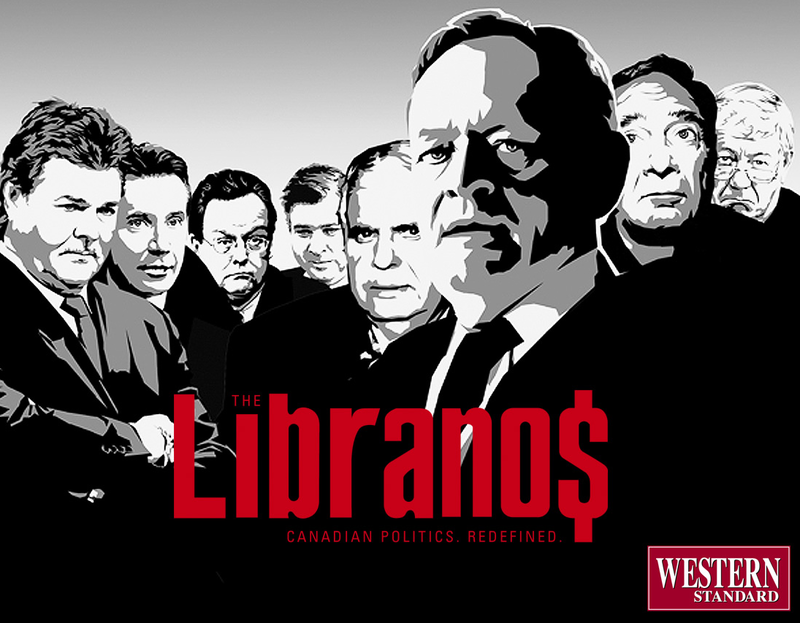 McConnell has identified McLean as the Amalgam Virgo (June 1-2) and Global Guardian (September 10-12) war-game maestro in 2001 when he worked as Special Assistant in the Office of the [Librano] Prime Minister of Canada (2000-2002) and McConnell further alleges that McLean coordinated the bin Laden red team’s electronic tethering of (‘Rope a Dope’) Boeing aircraft in the 9/11 attacks and the Cold Squad crews’ planting of evidence such as landing gear above and red bandanna below. The “hijacker’s passport” that magically floated down to earth beside the dustified Towers, to be picked up by an intelligence agent who managed to hand it to the authorities without being identified. 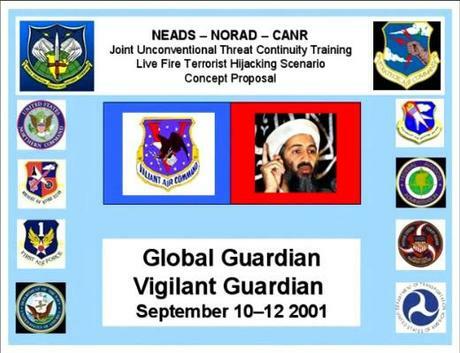 The “Fatty Bin Laden Confession Video,” termed laughably “bogus” by America’s top academic Bin Laden expert. It, too, was magically discovered and handed to US authorities by someone – allegedly a US soldier – who has never been identified. The Shiite bandana allegedly discovered next to the empty, shallow fifteen-foot-diameter hole in the ground in Shanksville where the government claims a 757 completely disappeared into the soft earth. Mohammed Atta’s “magic suitcase #1″ discovered in Hamburg, Germany and delivered to police by a self-professed “good Samaritan burglar” who had discovered it, he said, during a burglary. German police say the “burglar” was an intelligence agent, but won’t say which agency he worked for. ”Atta’s automobiles,” a.k.a. the Attamobiles, left at Maine’s Portland Airport AND Boston’s Logan Airport. How did Atta simultaneously drive to two airports, and leave two cars behind? Talk about over-planting your evidence! The piece of a Boeing Airliner that crashed in Cali, Columbia that somehow materialized on the Pentagon lawn on 9/11, and was photographed there in various positions in various places, with a piece of jungle vine still embedded in it. There are dozens more examples of hilariously bad, obviously-planted “evidence” designed to reinforce the ludicrous official story of 9/11. Jason McLean was appointed President and Chief Executive Officer of the McLean Group in 2010 following eight years of previous appointments as President and Chief Operating Officer, Executive Vice President, and Chief Legal Officer. As President and Chief Executive Officer, he is senior officer of the McLean Group’s operating and investment businesses which include Vancouver Film Studios, Pacific Backlot Services, Signal Systems, Erinmore Management, Blanca Realty, and Harbour Landing Construction. He is also Chairman of Blackcomb Aviation, a jet and helicopter charter, maintenance, and aircraft management company which is co-owned with John Morris. In addition to providing guidance and leadership to management teams, Jason coordinates the dialogue between ownership and management with corporate governance and strategic planning. Accordingly, Jason oversees all major transactions in each of the McLean Group’s operating and investment businesses and is the first point of contact for new investments and financing. Prior to joining the McLean Group, Jason worked as Special Assistant in the Office of the Prime Minister of Canada (2000-2002) leading advance teams to Africa, China, the United States, and Europe in preparation for NATO and APEC meetings, G8 summits, and other major trade and diplomatic consultations [Ergo, motive, opportunity and weapon for Rope a Boeing Dope in Global Guardian 9/11]. Jason McLean is a graduate of the University of British Columbia (LLB, 1999) and was called to the Bar of British Columbia in 2000 after articling with Stikeman Elliot in Vancouver. He is a certified member of the Institute of Corporate Directors (ICD.D) and a graduate of Harvard Business School’s Owner President Management Program, a rigorous executive education program for international business owners. Is the Cali, Columbia Boeing jet part from a CIA operator out of YIP? Just curious.